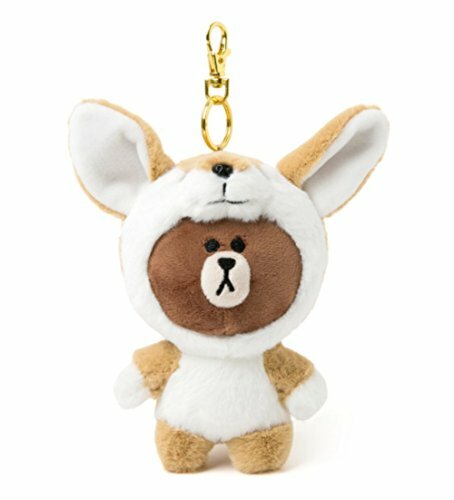 LINE FRIENDS Jungle Brown Fox Keychain 5.9 Inch Brown | What Should I Say? Cute standing Jungle Brown Fox Keychain. Clipped easily to Keys, handbags, backpacks, bags or used as a zipper pull for your coat or jacket . A signatory is required upon delivery of the item. / When ordering, a contact number must be filled out to avoid shipment delay.